Got a snuffly, snotty bub? Coughs, colds and sniffles getting you down? Well, for once that’s good news, because we’ve got something that’s going to be an absolute game-changer in your home! 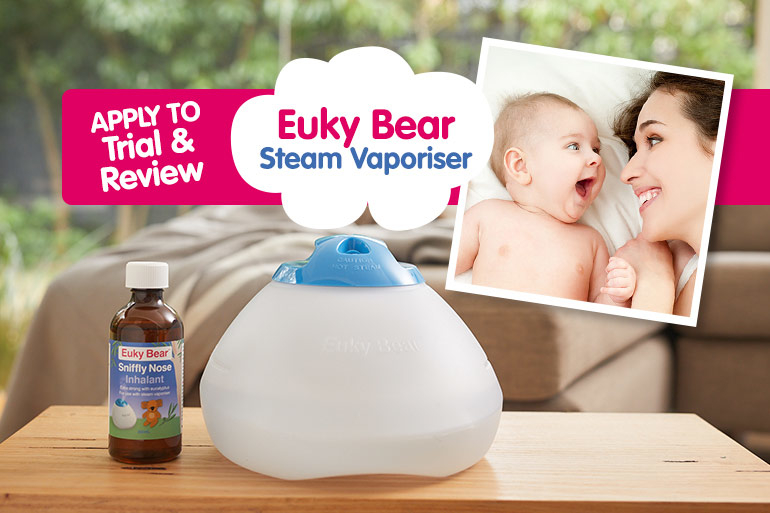 Yep, we’re looking for real mums to trial the Euky Bear Warm Steam Vaporiser and see what an amazing difference it can make to your family’s health. Whether you’re stuck in the ‘sick kid grind’ or just got an endlessly snotty baby, we want to hear from you. 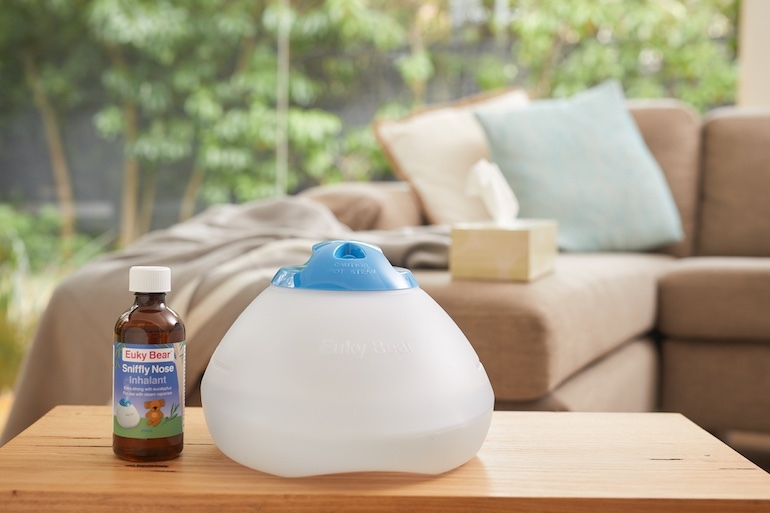 Euky Bear is the best warm steam vaporiser for colds, coughs and croup – and we think every Aussie mum should see why. The Mum Central team are already convinced that Euky Bear is a great natural choice to ease the symptoms of common childhood illnesses like cold, flu, bronchitis and croup. It’s also kind, gentle relief for mucky-nosed little kids and babes who are snuffling and gurgling through the night. We love this product for its effective, steam-therapy relief and we’d like you to experience it too. Here’s everything you need to know! If you’ve had a little one with a snotty bug that just seems to last forever, you’ll know just how long and exhausting night times can be. 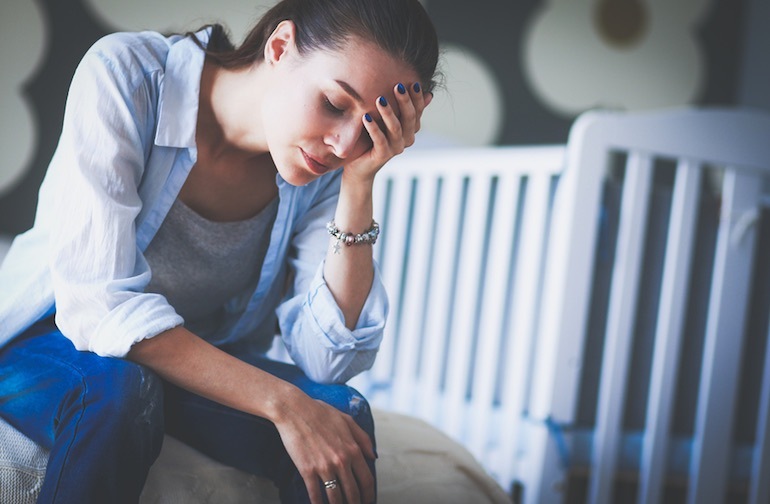 Not only are you tired yourself from being mum-nurse all day, your eyes are burning and you just need to get yourself to bed, but night time is when the cold’s symptoms make it near impossible for your little one to sleep. The snot makes it hard to breathe, the coughing wakes them constantly and their itchy throat means they never relax into a deep or peaceful slumber. Of course, this becomes an endless cycle of both of you suffering. We know sleep promotes better health so while we know our kids need to sleep to get better, they can’t sleep. So you can’t sleep. And so it goes on. Yep, its a horrible time for everyone. Add to the woe that there’s hardly any medicines suitable for little ones with cold symptoms, and you’re really in the motherhood doldrums. Is there anything you can do but suffer it out together? Well actually yes. The good news is that there’s a safe and natural way to help your little one feel better. And it’s the magical power of warm steam. Natural, warm steam has proven therapeutic properties to assist in relieving the symptoms of coughs, colds, sniffles and croup. With our bodies over 60% water, it makes sense that our internal systems need moisture to operate effectively, including the respiratory system. What are the benefits of adding warm steam to the air? Warm steam loosens phlegm and makes it easier to expel, helping clear the nose and chest. To add warm steam to your little one’s bedroom you need a vaporiser. At Mum Central, we’re convinced the Euky Bear Steam Vaporiser is the best steam vaporiser for coughs, colds and croup. Here’s why. How does the Euky Bear Warm Steam Vaporiser work? Euky Bear Warm Steam Vaporiser creates a soothing flow of warm steam into the surrounding air. The vaporiser is a compact and simple to use unit with a safety night light. It is the quietest Vaporiser on the market, has a bacteria free steam flow as well as a safety-designed heating unit with a twist lock and overheating prevention. When filled with water and a Euky Inhalant, it quietly and safely moistens the air for whisper-quiet, night-long relief from the nasties. The result? Everyone’s getting a better nights sleep! 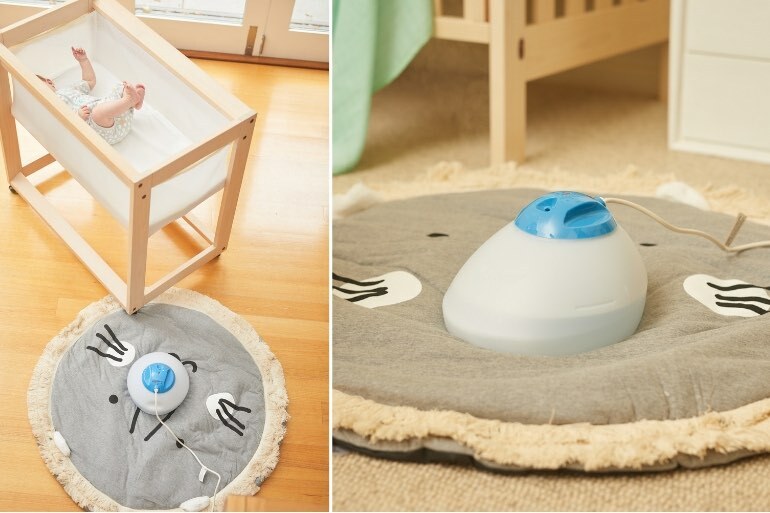 Plus, Euky Bear is a ‘Registered Therapeutic Medical Device with the TGA (Therapeutic Goods Administration) unlike diffusers or cool mist humidifiers. Find out for yourself why the Euky Bear Warm Steam Vaporiser is the best steam vaporiser for coughs, colds and croup. It runs all night, 14 hours plus – just turn it off when you wake in the morning. Every Aussie home should have a Euky Bear Warm Steam Vaporiser on hand as their first point of treatment when the snuffles, snots and sniffles appear. The Euky Bear Warm Steam Vaporiser is Australian made and Australian owned, and comes with a five-year warranty. Prices at just $69.95, grab yourself one (and get everyone a better night’s sleep) today. Hands up if you’re exhausted caring for sick kids or your little one ALWAYS has a runny nose. Hands up if you’re keen to try this incredible, natural solution to safely assist your little one who’s suffering with a lurgy or snotty nose. 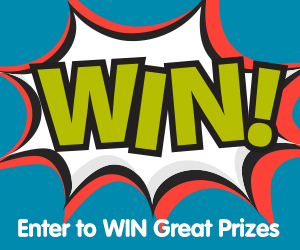 Well, those with their hands in the air, we invite you to apply to try the Euky Bear Warm Steam Vaporiser and tell us exactly what you think. Simply fill in the form below and if you’re one of the six panelists selected you’ll hear from us real soon. 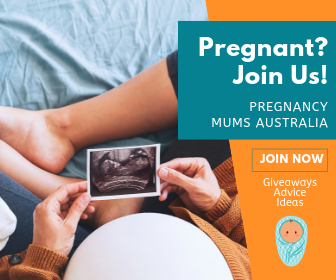 We’re looking for mums that are happy to join us for a coffee and do a casual video review to share their experiences trialling Euky Bear. Until then, here’s to a germ-free winter. Oh, and if you a cursed with the coughs, colds, croups or sniffles, remember the healing power of natural warm steam is your new best friend!